On our very own spaces on the internet, we blog, we blog about stuff and people read it. I tend not to get involved in big debates on how others should blog but lets face it, everyone has their opinions. My own opinion is, who the hell cares? I blog about what I want, I publish what I want. Why should another persons opinion matter ? There’s been a lot of negativity recently surrounding blogging, “you’re a mummy blogger, nobody reads your blog”, “you’re not a real blogger if you write sponsored posts” “you only do it for the free stuff”, well let me tell you something, why does it matter? We all have our own styles and reasons for blogging. Does it really offend you that much if a blogger publishes a lot of reviews and hosts a lot of competitions? You are entitled to your opinion but let’s face it, criticising others for what they have on their blog is a bit of a douche move, if you don’t like it, don’t read it, don’t follow their blog, it’s simple. It shouldn’t be a case of superiority and ridiculing others for their content. 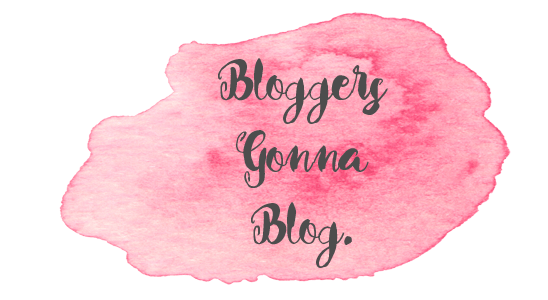 Why do you care if you are member of blogging circles? or if you blog about “real issues”, why do you care if some take stats and rankings seriously? Why are we shaming those that take part in blogger awards? why the hell is there so much negativity? We all have our own niches, that’s what makes the blogging world so great, some of you have beautiful blogs with amazing photos’ that you have captured, some of you have amazingly well designed blogs, some of you are professional bloggers but we all have that one thing in common, we blog. For those that have been with me a while will know that I have taken a back seat from blogging for a number of personal reasons, I’m not as active as I once was, but I like my happy, quiet, little corner of the internet. I’m not a big time blogger and in most of the groups that I am in, hardly anyone will know who I am or where I blog, that’s perfectly fine with me. I guess what I am trying to say is that, although I am a small fish in the big ocean of blogging, we should be supportive of each other no matter what our styles are. Why are we so concerned about what other bloggers, are and aren’t doing? I potter around the groups, G+ forums, and twitter but I don’t get involved in debates either, I’m just a small little fish too, but I comment on blogs I love, I read and chat on twitter and that’s good enough for me. I ramble on my blog, I host comps, I have sponsored posts and epic fails, all that makes up me. You are totally right who cares? It is up the individual what they write and publish. We should support each other not tear each other apart.